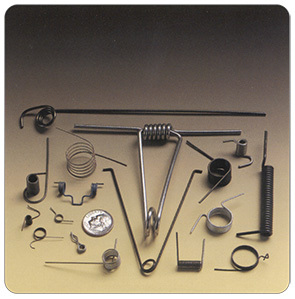 Diversified Spring Technologies, Inc. - Torsion, Double Torsion and Specialty Springscompression springs, cable springs, extension springs, torsion/specialty springs, wireforms, rings and washers, fourslide products, assemblies and stampings, prototypes. Torsion springs are used to apply a torque or store rotational energy. The two most common types of torsion springs are single and double-bodied torsion springs. Torsion springs can be found in ratchets, counterbalance mechanisms, motor pump assembly, and various types of machine components. Like the extension spring, the end configuration of the torsion spring is very important. Diversified Spring Technologies can help in the design of the torsion spring. 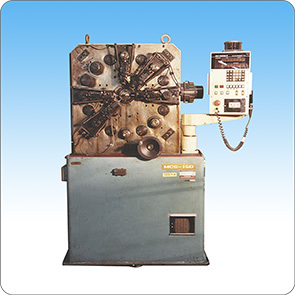 We have CNC and mechanical machines that can precisely coil the ends of the torsion spring. Torsion springs can be formed using various materials, such as standard carbon and stainless steels, elgiloy and inconel. Wire can be round, square, or rectangular. Diversified Spring Technologies specializes in forming torsion springs with the capability to coil wire sizes ranging from .006” to .313”. However, in our Short-Run Department we can go over .500” wire diameter. Diversified Spring Technologies also has the capabilities to produce specialty springs, such as, garter springs, spiral springs, and many more. Please contact Diversified Spring Technologies with your needs. Our Engineering Department offers a variety of services ranging from engineering support, design, and prototypes. We also offer special packaging or color-coding for your parts.